If you are spending any time at the pool this summer, sign your children up for swim lessons! Our lifeguards and veteran members of our swim team teach your child the basics for swimming, increasing their skill with every level, eventually recommending them for the swim team. Within the swim lessons, children are broken into small groups depending on age and ability. Each group has two teachers and is placed somewhere in the pool, compatible to the children's comfort. 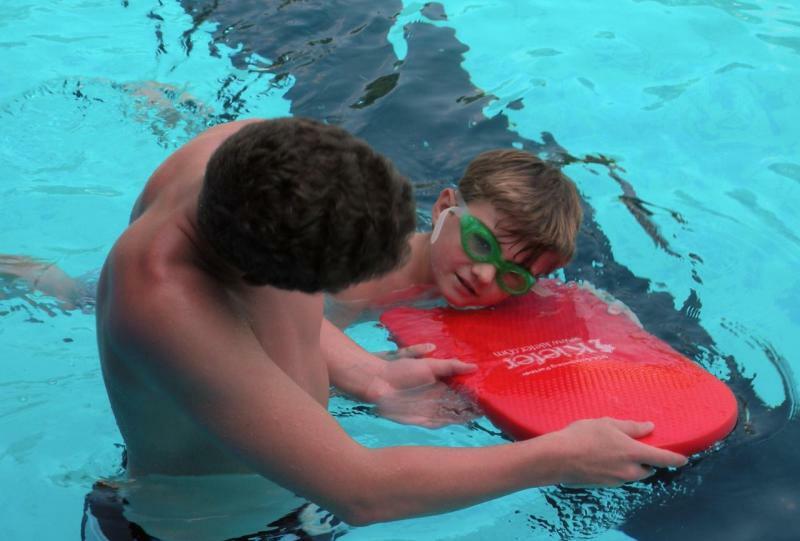 Lessons begin with putting faces underwater and blowing bubbles, to floating on your back and tummy, to kicking with a kickboard, and eventually learning the actual swim strokes. Class is Mon through Thurs with Friday used as a rain day make-up. If you are interested in having your child taught privately, please speak with a life guard at the pool and they can point you in the direction of a swim lesson instructor. Last year, we saw so many kids improve in leaps and bounds. Let's see what amazing goals we can beat this year!! !